The perfect update to a classic t-shirt. 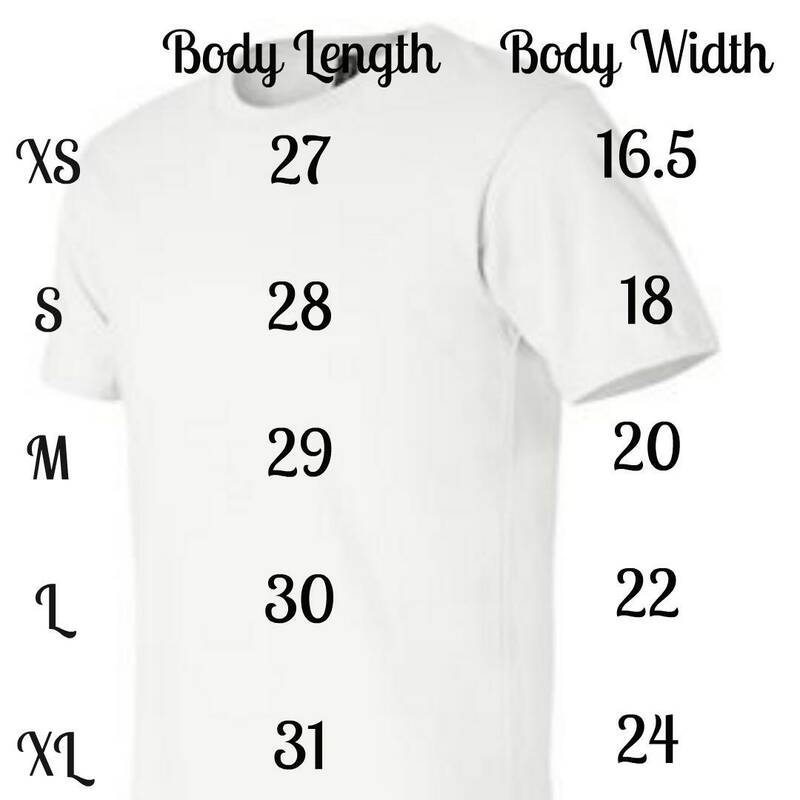 Shirt is a unisex fit, be sure to refer to size chart. 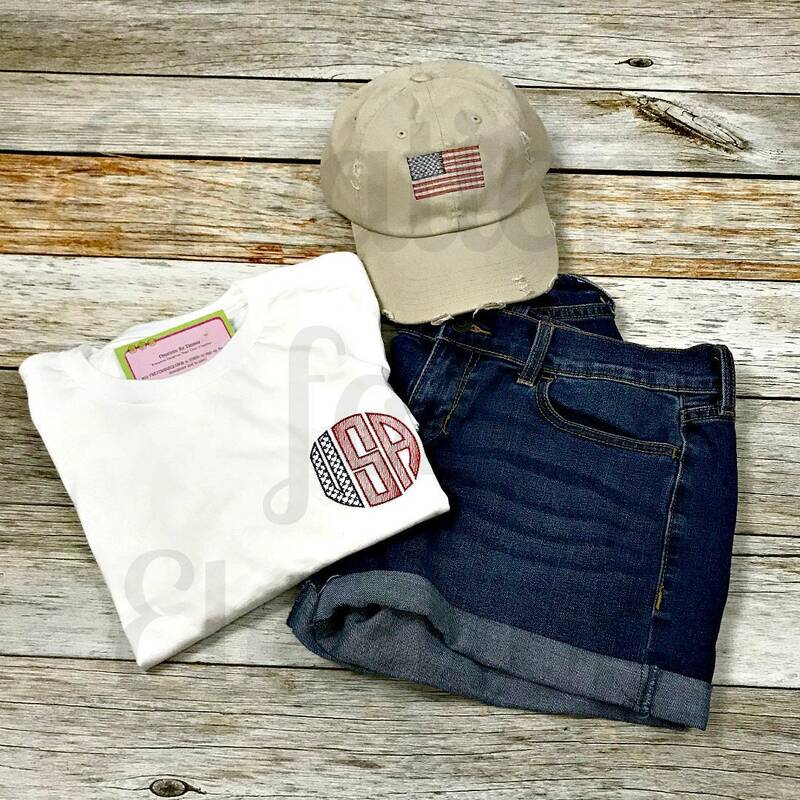 Shirt is monogrammed with either USA or a 3 letter monogram. 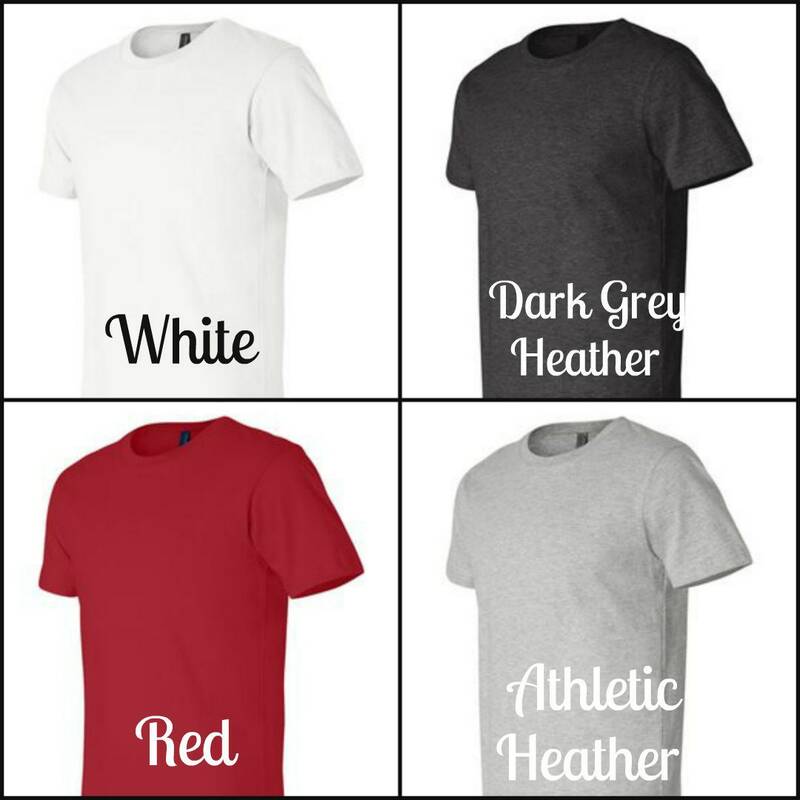 High end tshirt is a 4.2 oz., 100% combed and ringspun cotton blend and athletic heather is 90/10 combed and ringspun cotton/polyester. Monogram is done on left chest. 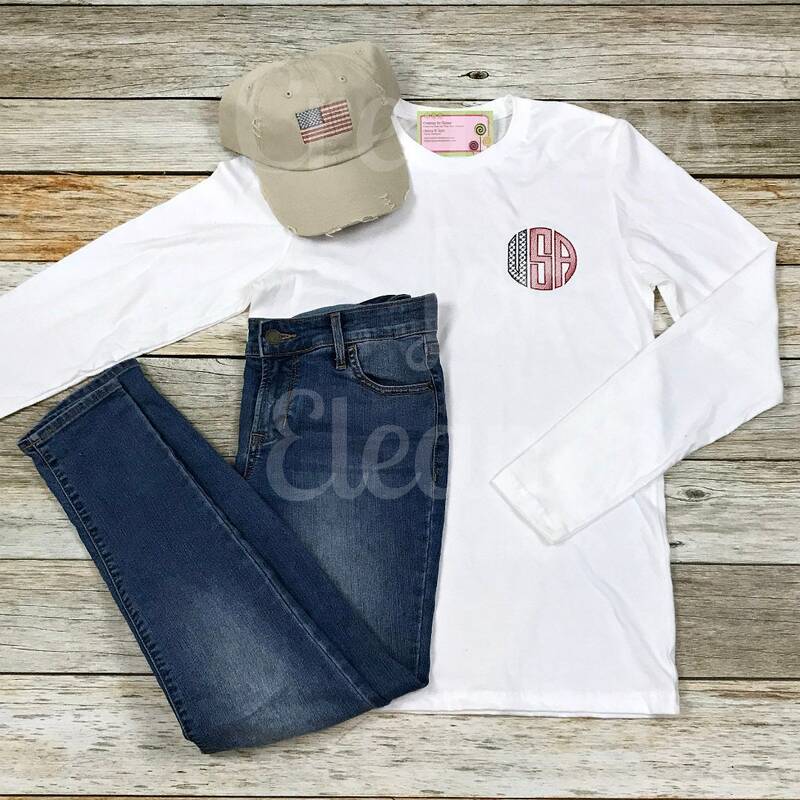 Shirt will be monogrammed using our stars and stripes sketch font. All shirts are custom embroidered in a pet free, smoke free home. They are custom made for you and will take 2-3 weeks, please convo me if you feel you will need this shirt quicker. Due to the custom nature of this item it cannot be returned. Embroidery is navy and white; if the red shirt is purchased, white will be used instead of red. The darker grey will make it harder to see the embroidery but is an option.